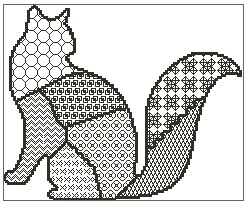 Blackwork Cat is a Blackwork chart measuring 119 stitches wide by 98 stitches high and if stitched as per the chart all in the same single colour, it is estimated that you should only need a single standard skein of thread. 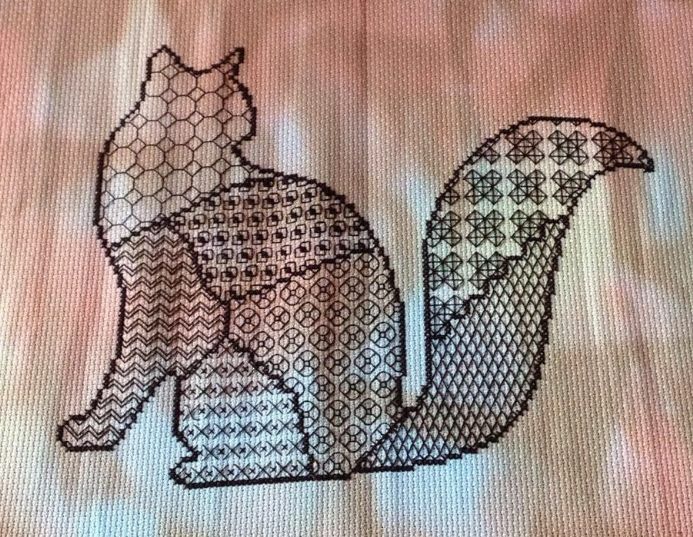 This is my first big blackwork project that I took on and I loved it. I had a few issues with the outline chart BUT that isn't because of the chart, it's my memory issues. I couldn't put it down, once I got started I couldn't stop. You won't be disappointed if you purchase this chart. Thank you for providing me with such a fun project to do KLTcharting.